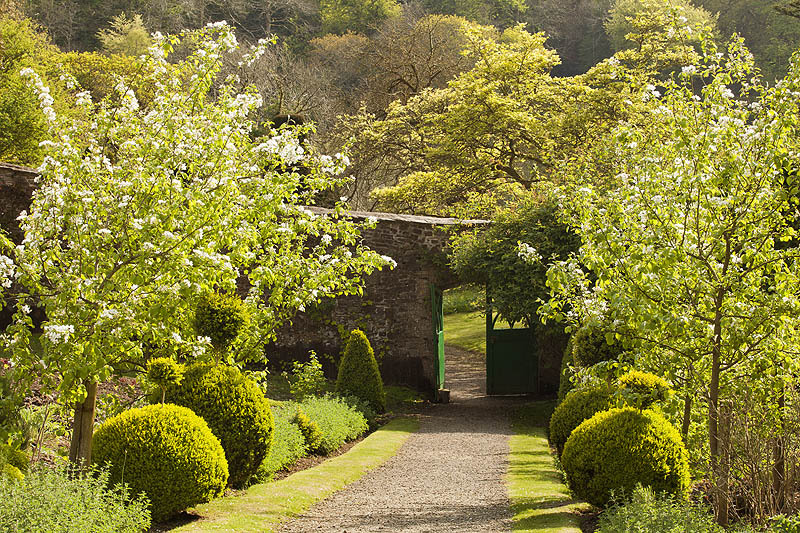 The walled garden at Hartland Abbey in spring with blossom on the fruit trees and the door throught the wall into the garden leading up the central path. Hartland. North Devon. May 2014.